My name is John “JJ” Wett and I have a long history of advocating for the people of DeKalb County. It all started when I moved to DeKalb in 2003 to begin my undergraduate degree at Northern Illinois University. While attending NIU from 2003 to 2007, I started an organization to help students with disabilities integrate into college and spread disability awareness, served on the Commission of Disabilities to the President of the University, served on a Student Advisory Council for the Disability Services Office, and was awarded the Student Leadership Excellence medal from the President of the University. Other than the accolades that I received and accomplished at NIU, I also helped the victims of Hurricane Katrina, attended several fundraisers for the Farm Bureau, and served at several community dinners. After graduating from NIU, I served on the DeKalb Commission for Disabilities from 2009 to 2013 and served as Assistant Scoutmaster for Kingston Boy Scout Troop 47 from 2010 to 2012. Currently, I am a member of the Transition Planning Committee which helps young adults with disabilities transition into adulthood. Recently I have been named Chairperson of the Board for Avancer Homes & Genesis Developmental Training Center. All of these accomplishments are great but that only gives you a glimpse of who I am! I was born with spinal muscular atrophy (SMA) which deteriorates my voluntary muscles. 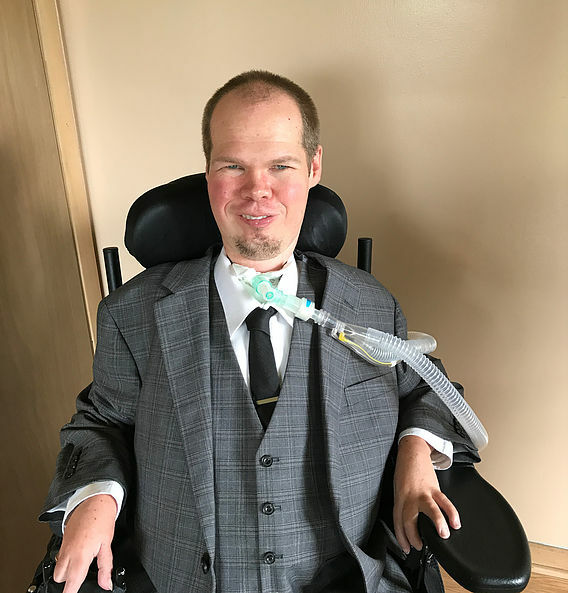 Spinal muscular atrophy has not “destroyed” my life, it has made me the man I am today. It has made me a person of understanding, able to see others’ troubles more easily, and gifted with my ability to help others. My disease has allowed me to see life in a way that is different than most people. The man I am today would have never existed had it not been for SMA. As your representative for the County Board, I will continually listen to and advocate for all the constituents that I represent. I will fight to keep farmers secure and prosperous, help build the middle class, and secure a budget that helps defend social services. Most importantly, I will be a representative for the people!